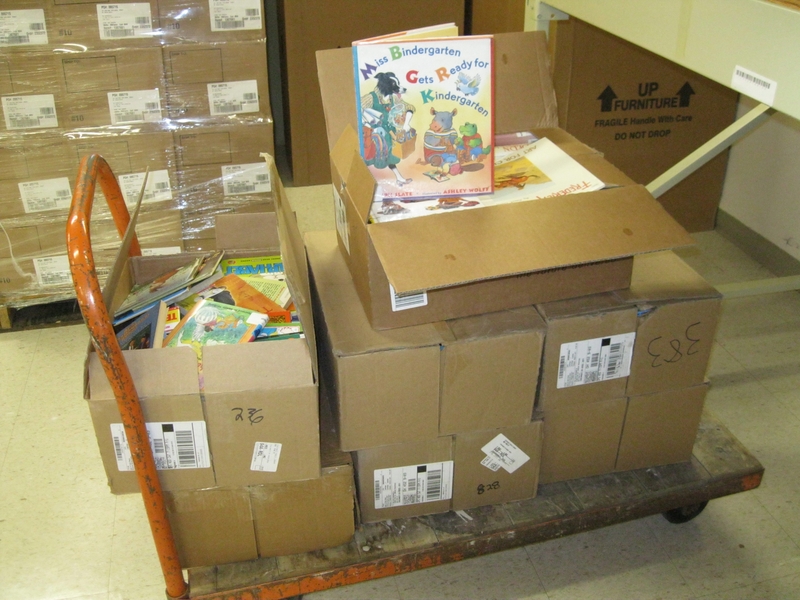 The Friends of the Public Library donated seven boxes of children’s books to our agency this week! We will use these books in our waiting rooms for children to read while their parents are waiting. It gives them something fun to do. We have Hannah Montana books, science experiment books, color and number books for the little readers. There’s definitely opportunity for education along with the fun. Several children have already picked them up. Cincy Magazine has named me a finalist for the Athena Award and I am very honored to be in the company of a great group of women who have been recognized for their professional excellence. 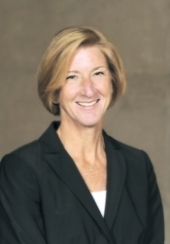 Litsa Spanos, President and Owner, Art Design Consultants, Inc. Many of the families we help here at Job and Family Services are headed by single mothers. Whether we are helping them collect their child support, providing them child care assistance so they can go to work or helping them find a job that will lead to a more successful life, I believe the work we are doing puts them all in a better place. More than twenty years ago, I became a Big Sister to a Delaware teenager. That experience led me to leave a career in business to pursue my social work degree and help people who are struggling. I am proud to still be doing that work today. Each of the finalists — in their own way — is making this community a better place to live. That is a great team to be on! This article in our Update newsletter has been getting a lot of attention from the public. I am thrilled that a positive story like this has captured so much attention. We have almost 200 children available for adoption on any given day. Their stories are all different, their personalities are different, their strengths and weaknesses are different. But they all have one thing in common: they need a loving family willing to give them a chance. Adoption has great rewards. That child you take in could become a great athlete, actor, architect, attorney, artist or some other success. With the right nurturing, every one of our children will not only flourish, but bring tremendous joy to your life. Visit www.hckids.org and learn more about the children we have available. You can even watch some of their videos to get a feel for them as a person. On the eve of National Child Support Month, I received good news from our Child Support Division: we are on a record pace for case establishment. In fact, we are up in almost all of our Child Support numbers. We are doing a better job of tracking down absent parents, establishing paternity and orders, collecting on each case and even collecting on delinquent amounts. We are currently at 73.42 percent on establishing case orders, which is on pace to surpass last year’s record of 72.64 percent. We have mostly achieved this through setting up a special unit that works to locate absent parents or close cases that are no longer valid. More good news: we are up nearly 3 percentage points (81%) on paternity establishment. To give you a reference point, we establish paternity in nearly 1,500 cases each year, and we establish more than 2,000 new child support orders annually. Each case represents at least one child. What does it really mean? It means the children of Hamilton County are better off because of the efforts of our agency. Child support puts food on the table, pays electric bills and buys school clothes. Child support can be the difference between a custodial parent keeping or losing their home at a time when foreclosures are rampant. When children have the financial support they need for life’s necessities, they have a better chance at a successful life. We have convened a workgroup to develop early intervention strategies that will lead to more consistent child support payments, preventing the accumulation of delinquent accounts in large amounts. We have established a formal relationship with The Ridge Project Fatherhood Program, which provides life coaching, case management and other tools to fathers in an attempt to gain consistent child support payments. We have received a grant from the Ohio Department of Job and Family Services to work with the county’s Court of Domestic Relations on creating a secure site for supervised visitations or a secure drop-off site to facilitate visitations. This will help eliminate any roadblock to a parent visiting their child, which will encourage consistent child support payments. Child Support is the largest program in the state – outside of schools – in terms of touching Ohio’s children. Here in Hamilton County, we handle about 90,000 child support cases each year. There’s one mom and dad, and at least one child, per case, so we are dealing with more than 300,000 people through our Child Support Division. That is more than one in three in our county. We do not take sides. We are on the child’s side. Our goal is to ensure they receive the support they need. We use a variety of tools to collect support, including our Most Wanted posters, freezing and seizing funds from bank accounts, intercepting tax refunds, suspending driver’s licenses, suspending professional licenses and confiscating passports. Our solid – even record-setting in some areas – performance in child support is especially noteworthy during this tough economy. We aren’t collecting at levels seen before the 2008 recession, but we are operating more efficiently with the cases where collections are possible. It all comes back to each case representing at least one child. If we make progress on a case, we make progress for a child. We are strengthening families, one by one.